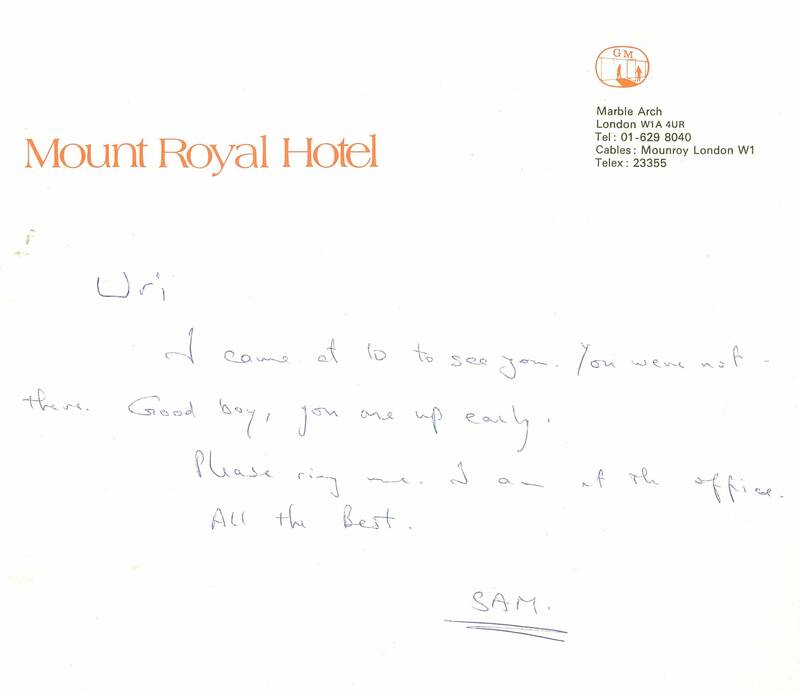 Note from Said Hamami telling Avnery that he came to visit him in his hotel in London when he was absent. 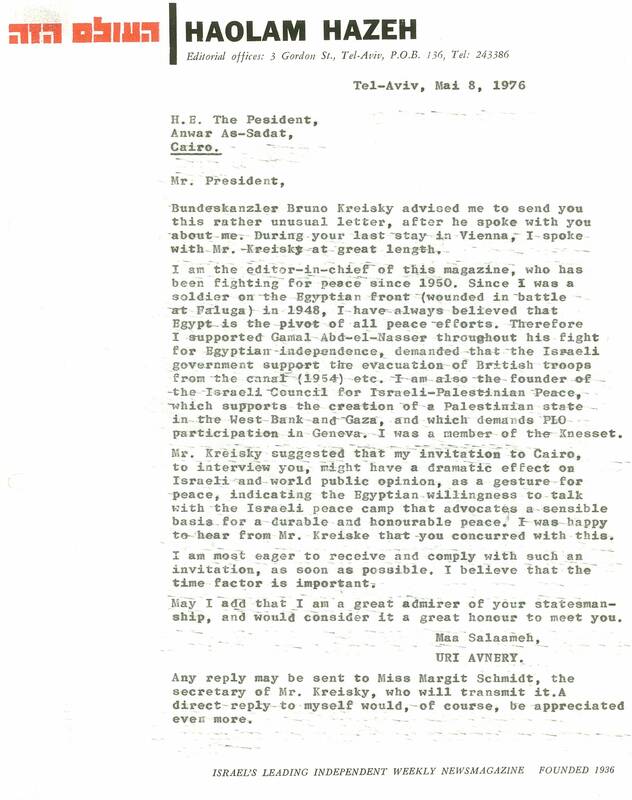 At this stage their conversations were secret. 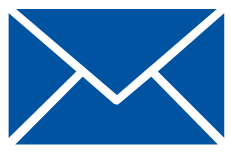 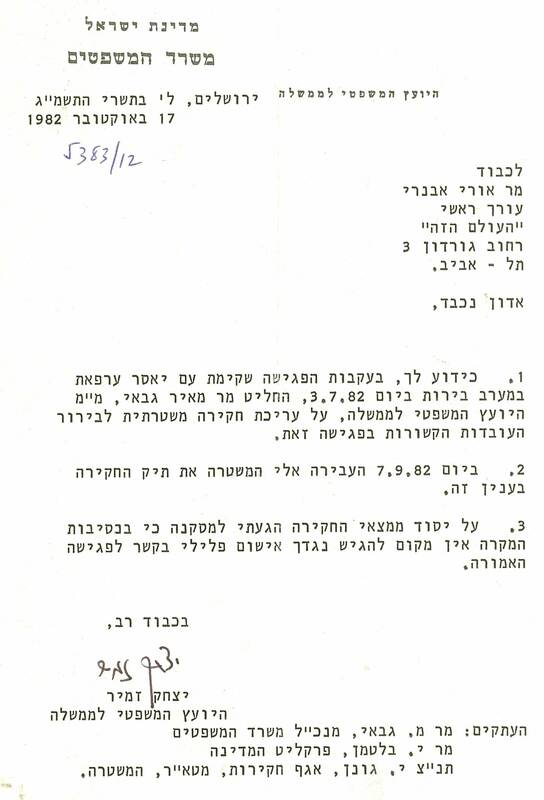 Avnery’s letter to Prime Minister Rabin requesting a meeting in order to report on a secret conversation he had with the PLO representative in London, Said Hamami. 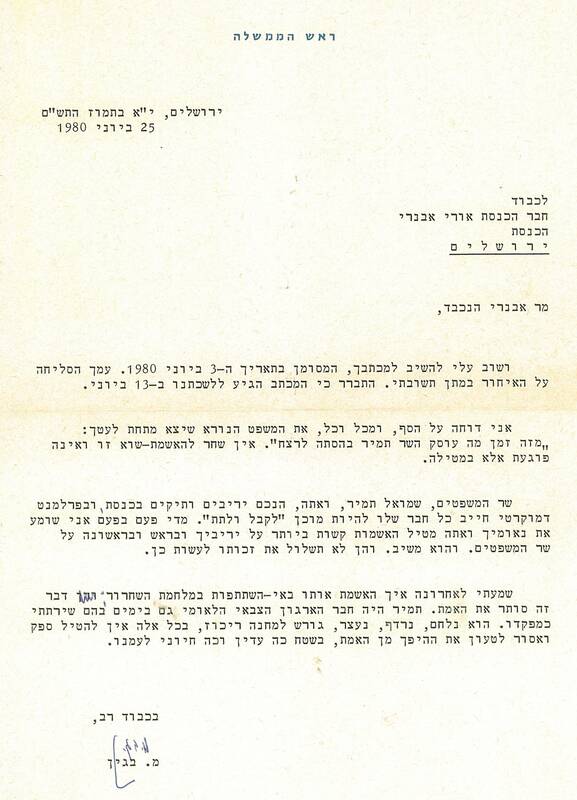 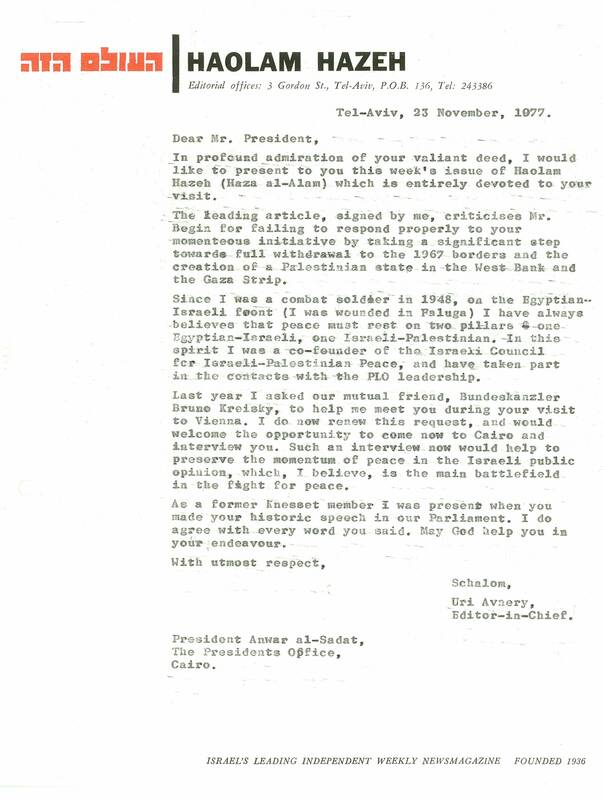 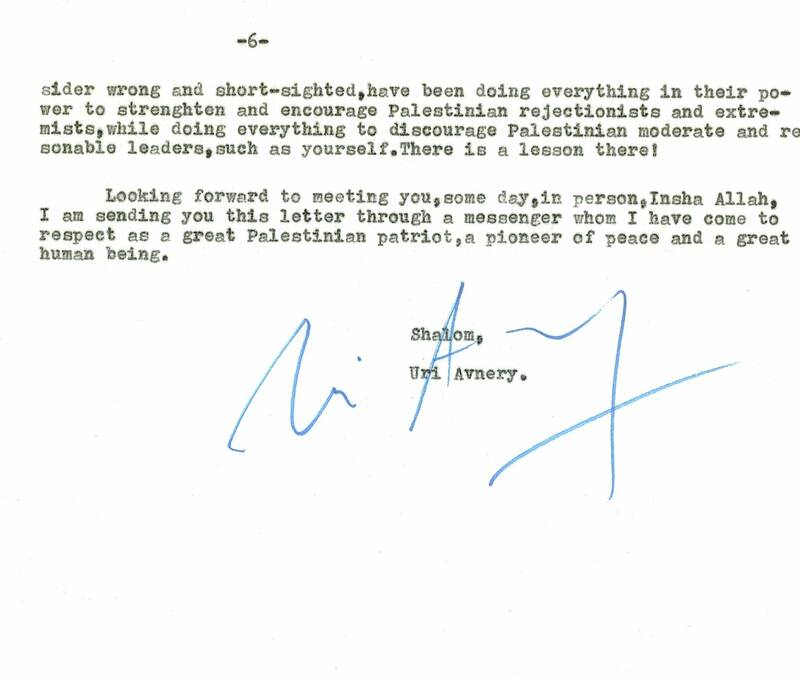 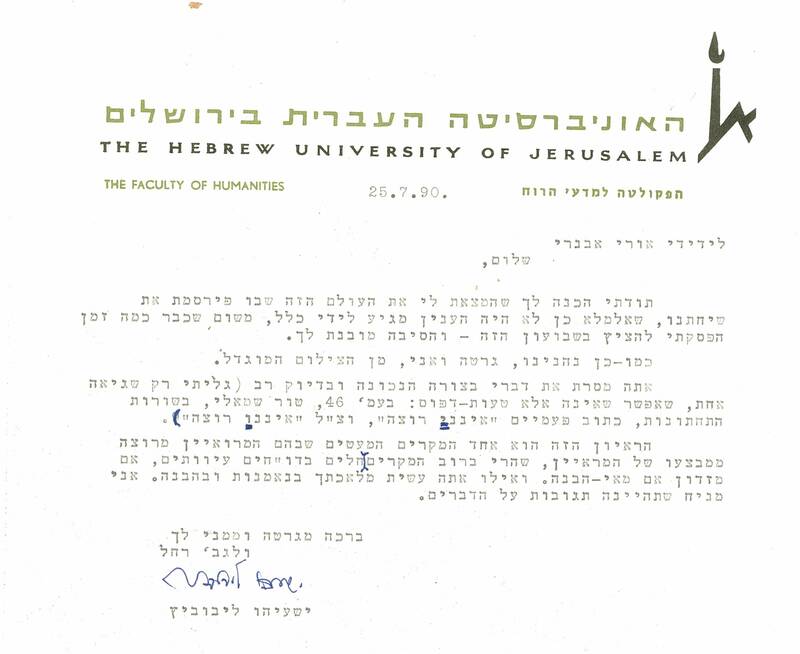 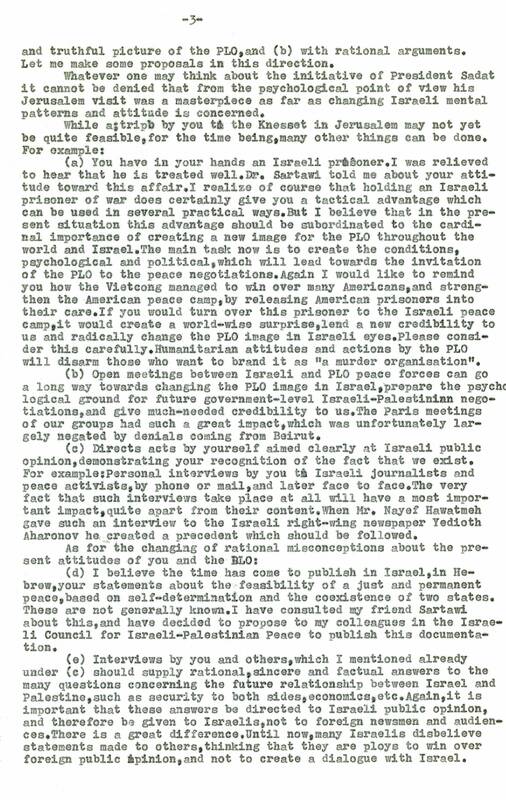 A year before Sadat’s visit to Jerusalem, a letter Avnery sent him, on Kanzler Bruno Kreisky’s advice, asking him for an interview in Vienna as a political gesture. 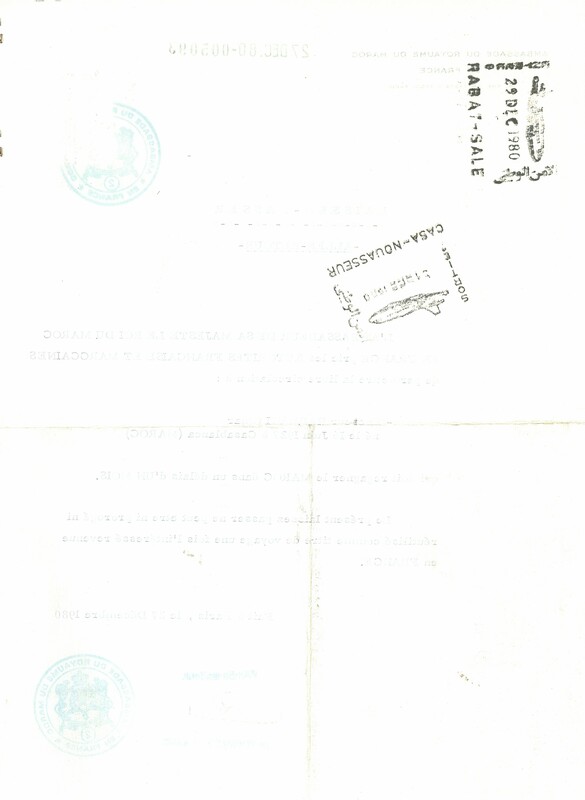 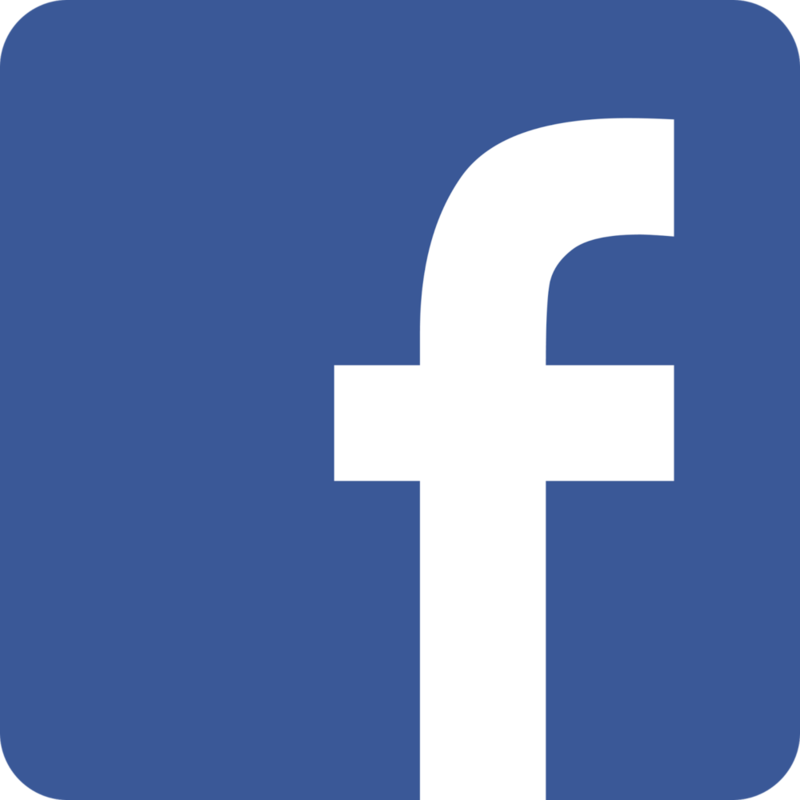 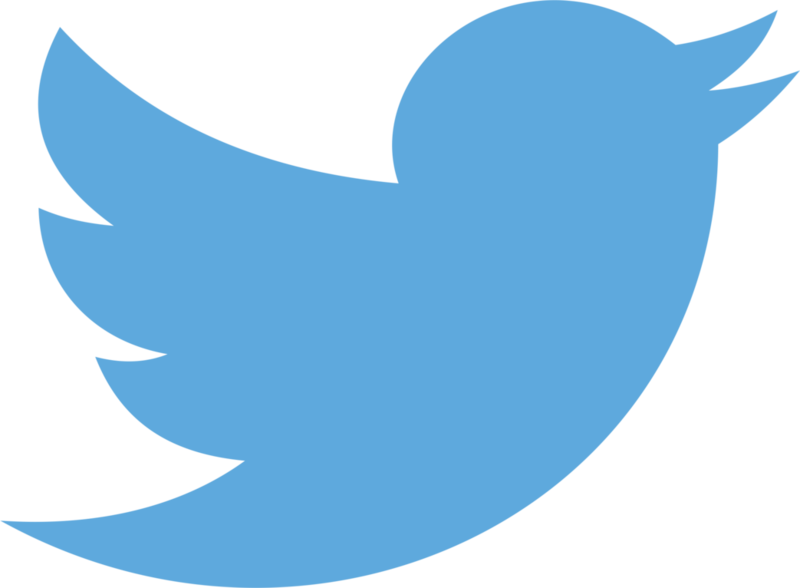 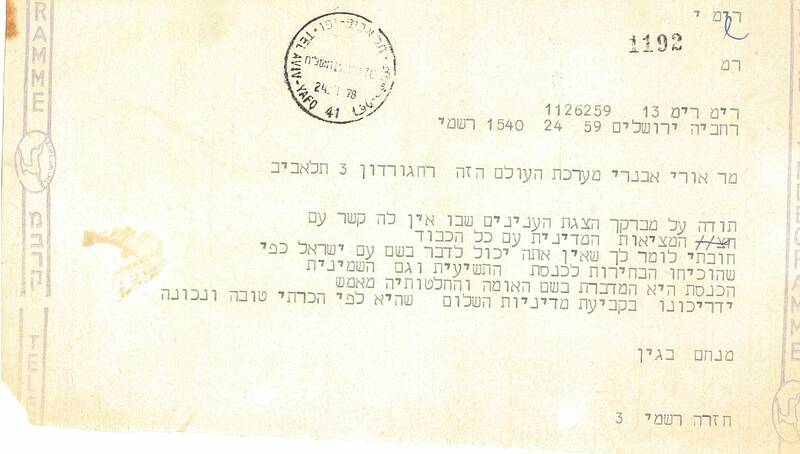 Kreisky sent the letter through his diplomatic post and volunteered to transmit an answer. 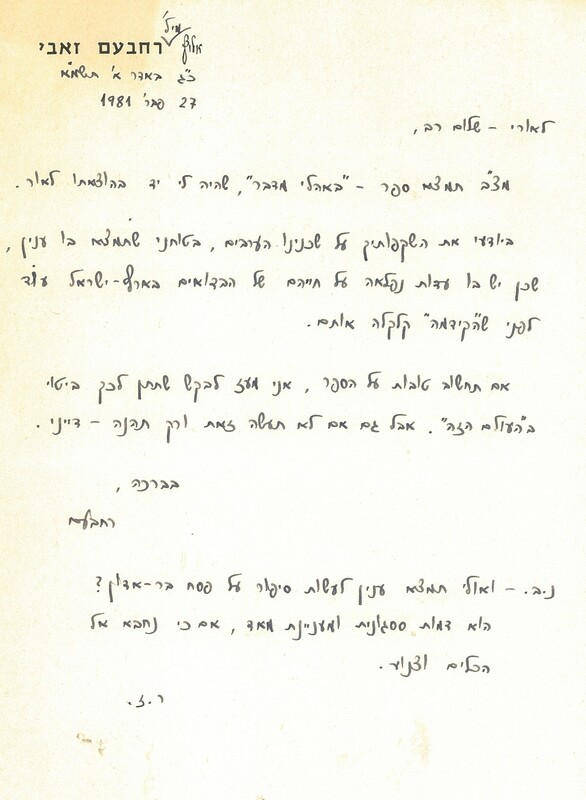 There was no answer. 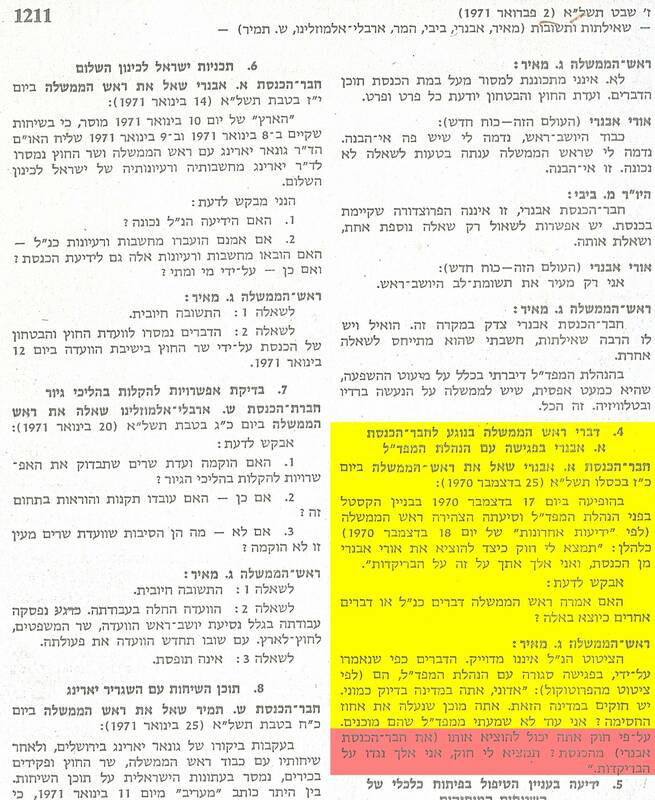 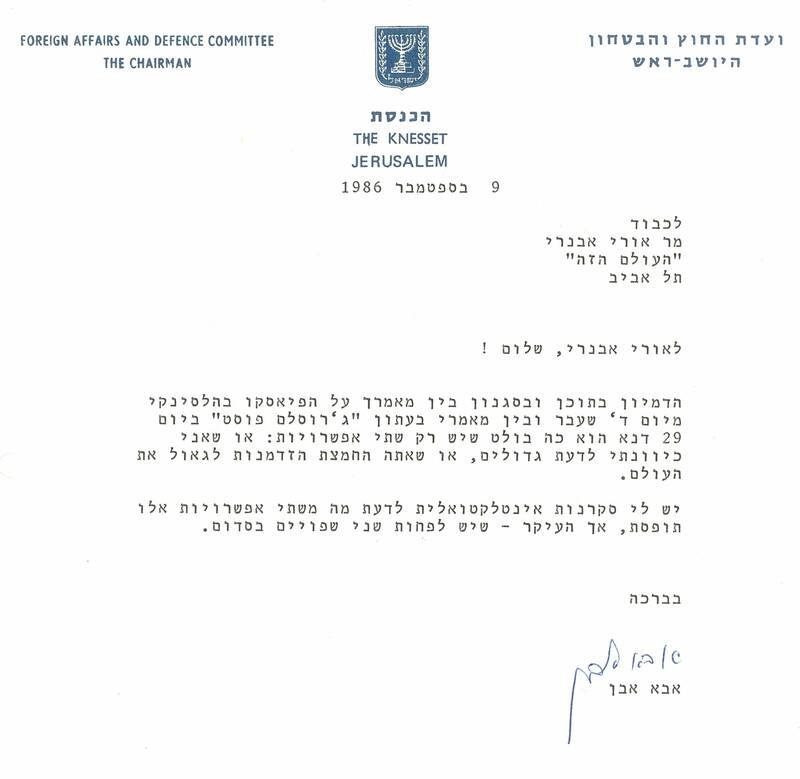 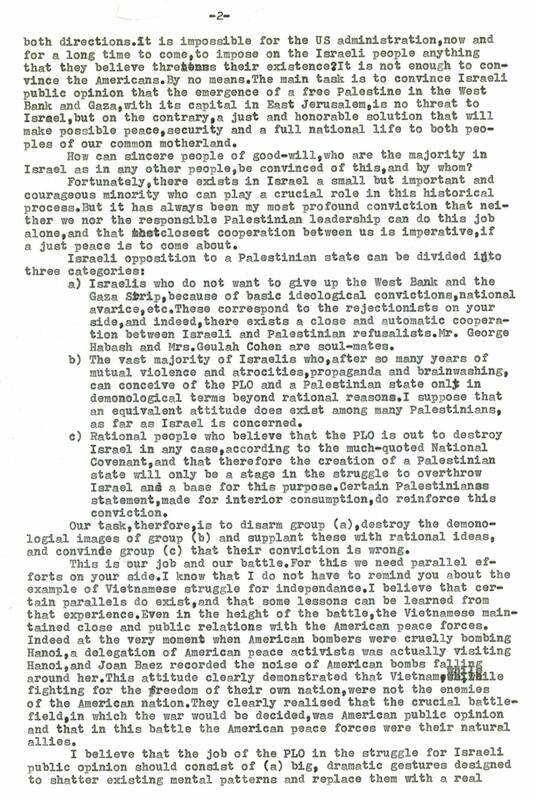 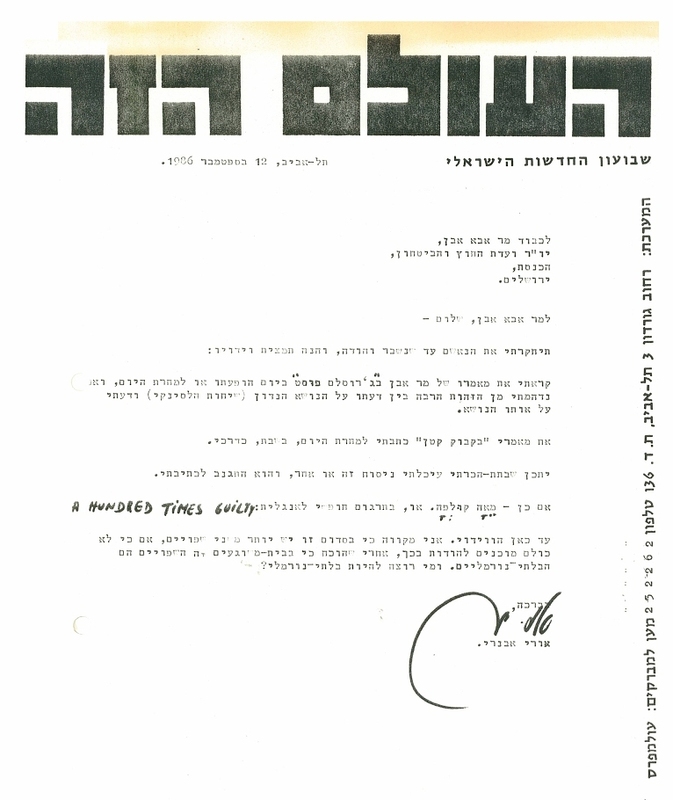 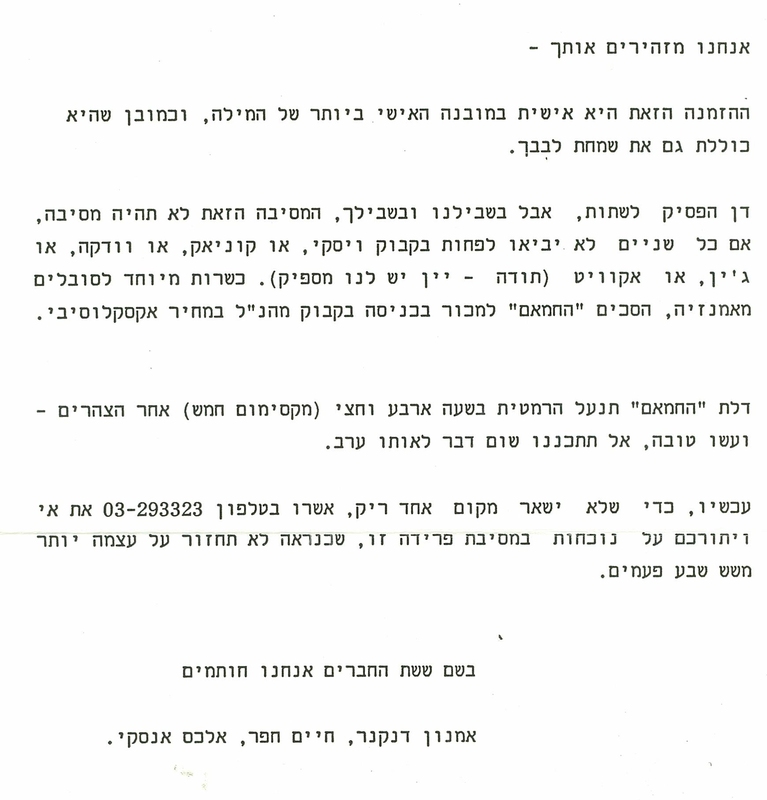 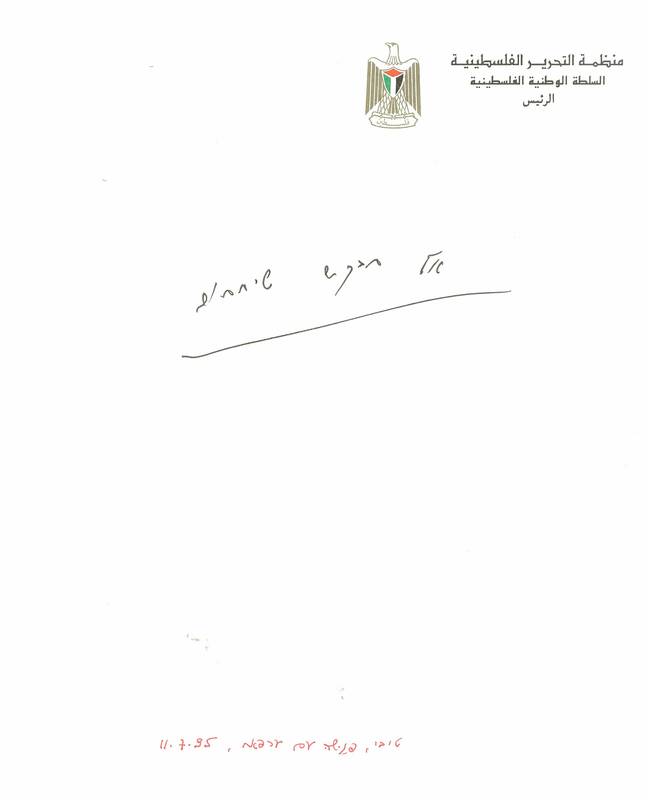 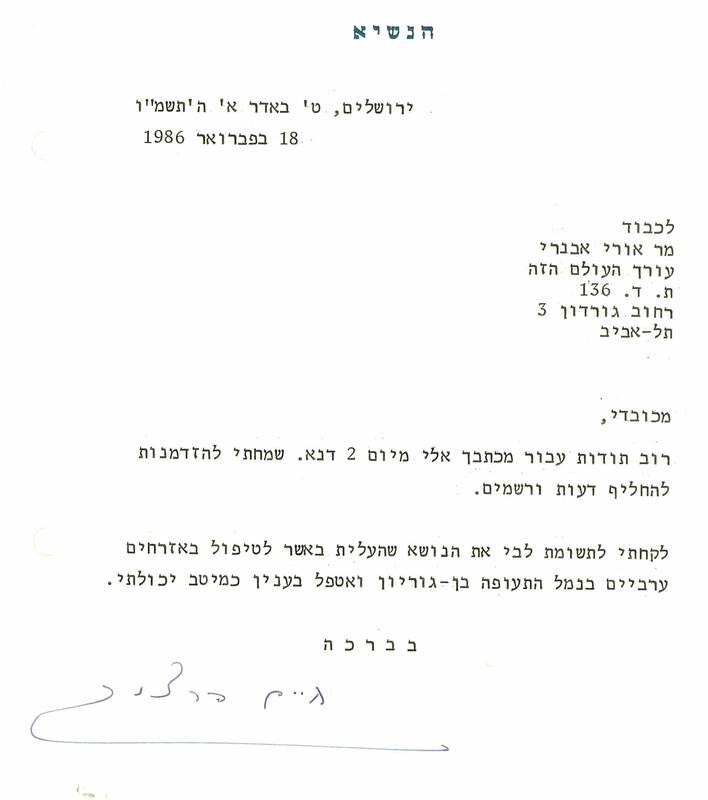 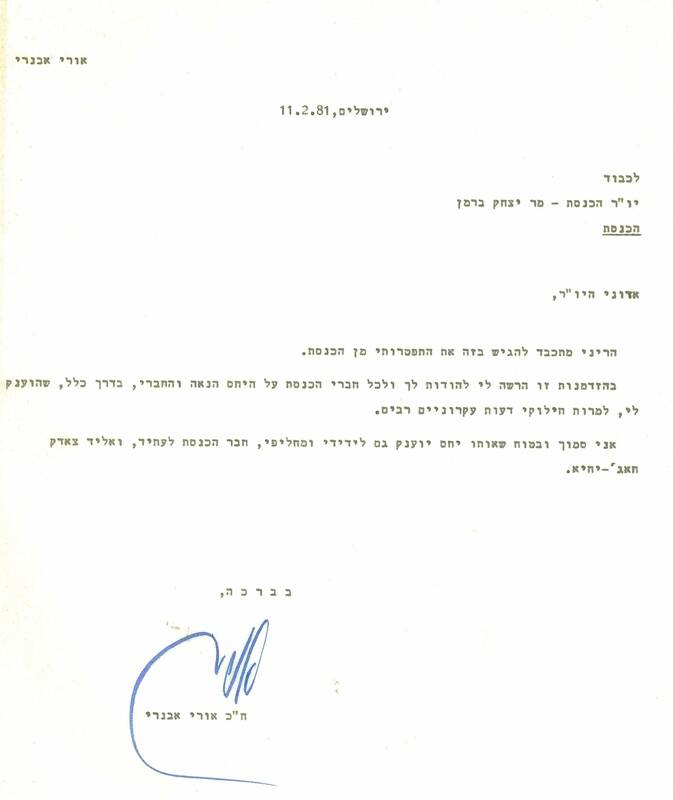 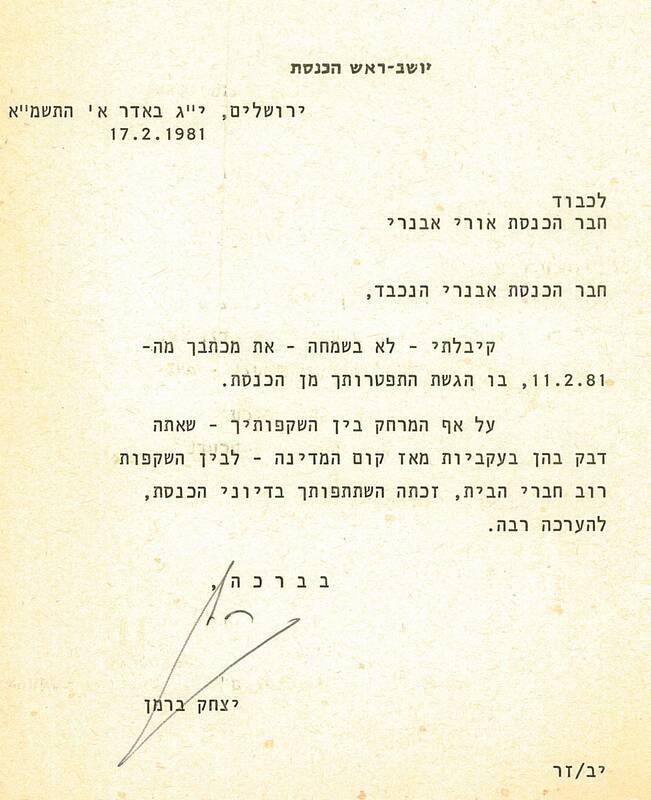 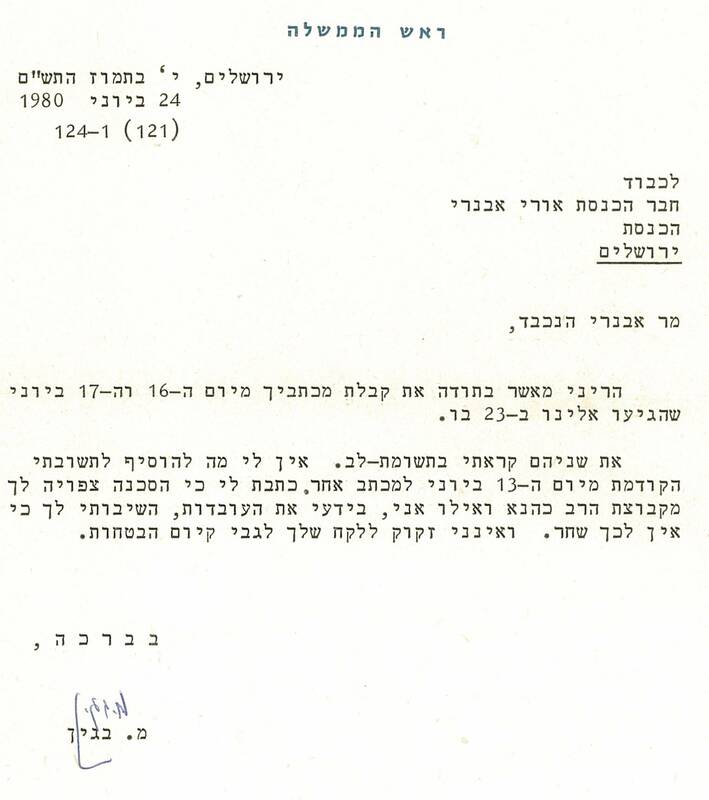 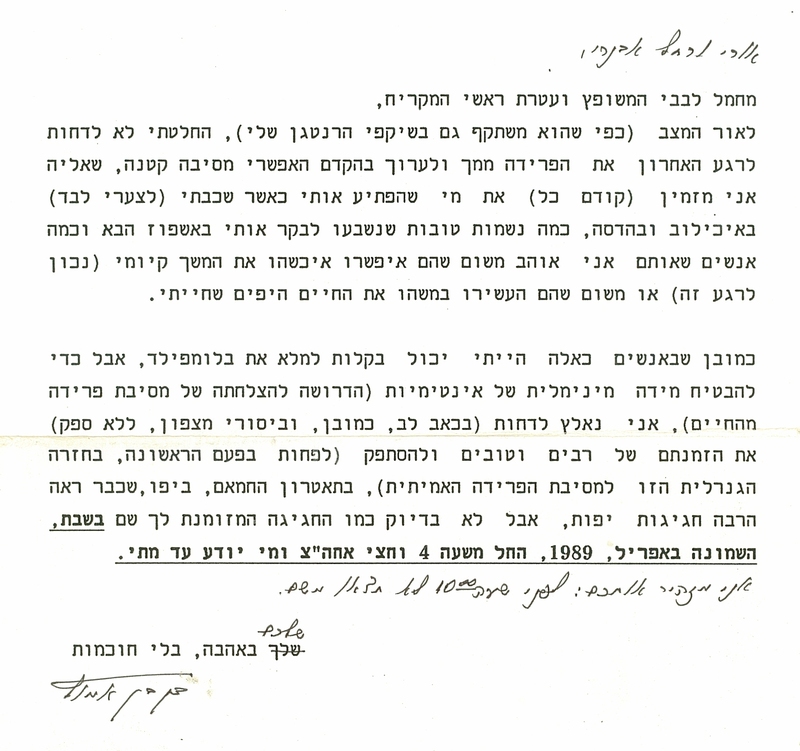 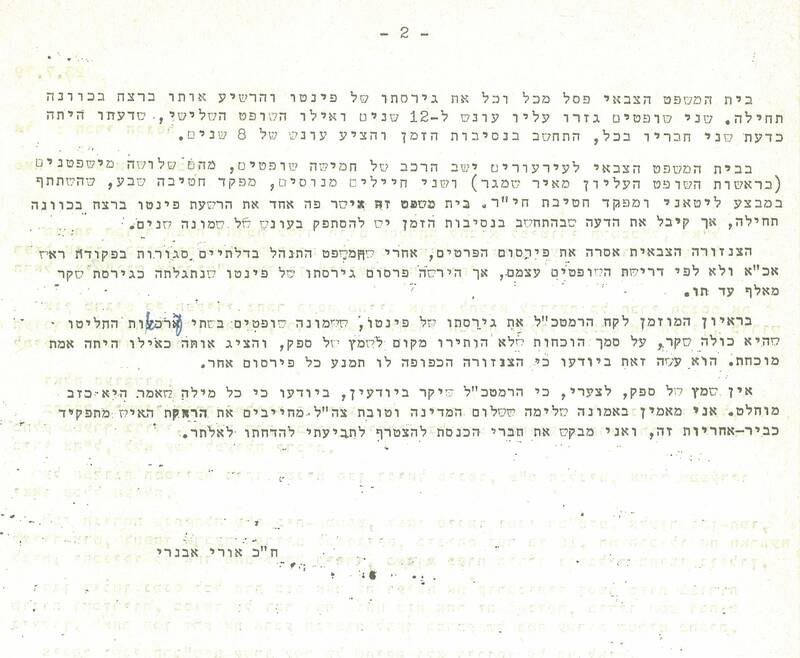 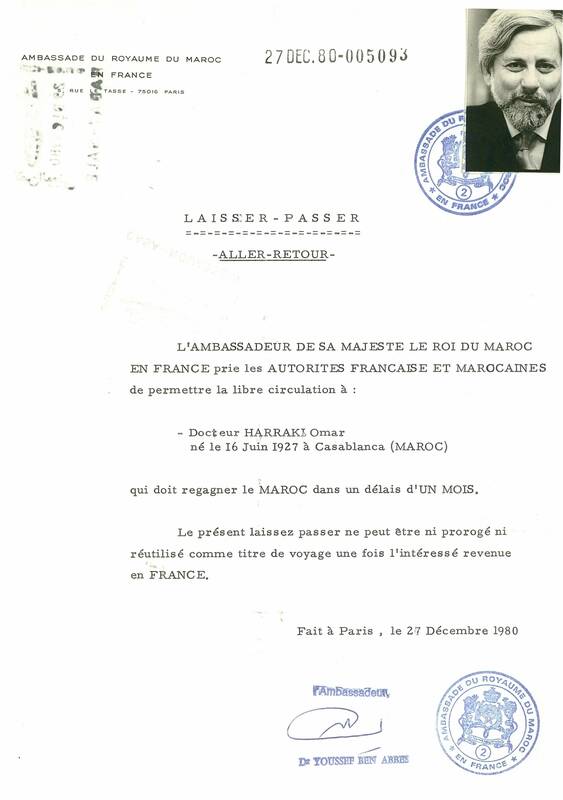 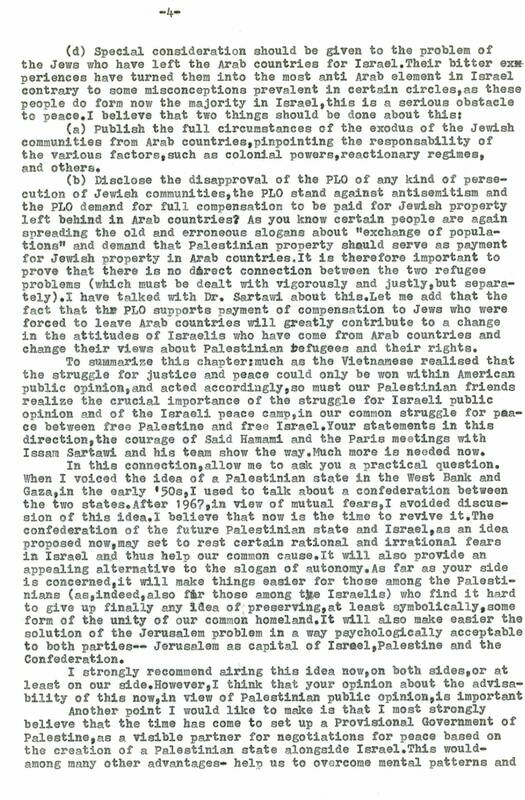 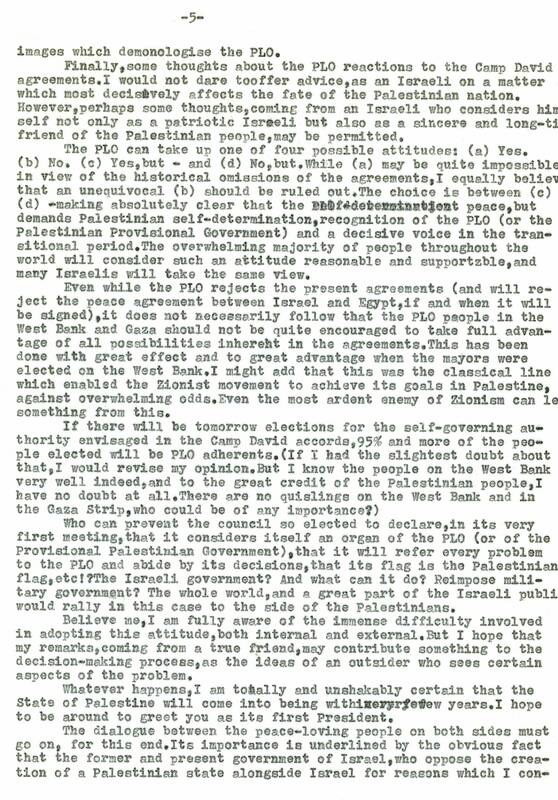 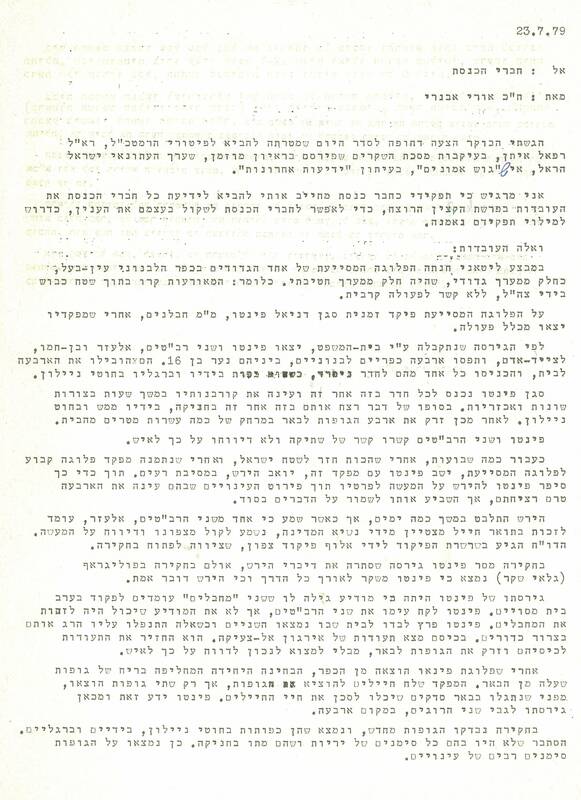 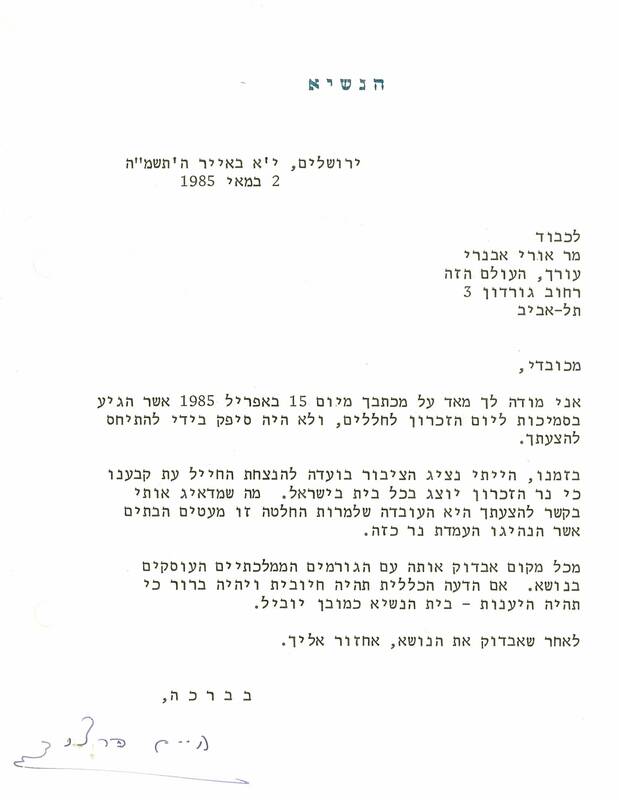 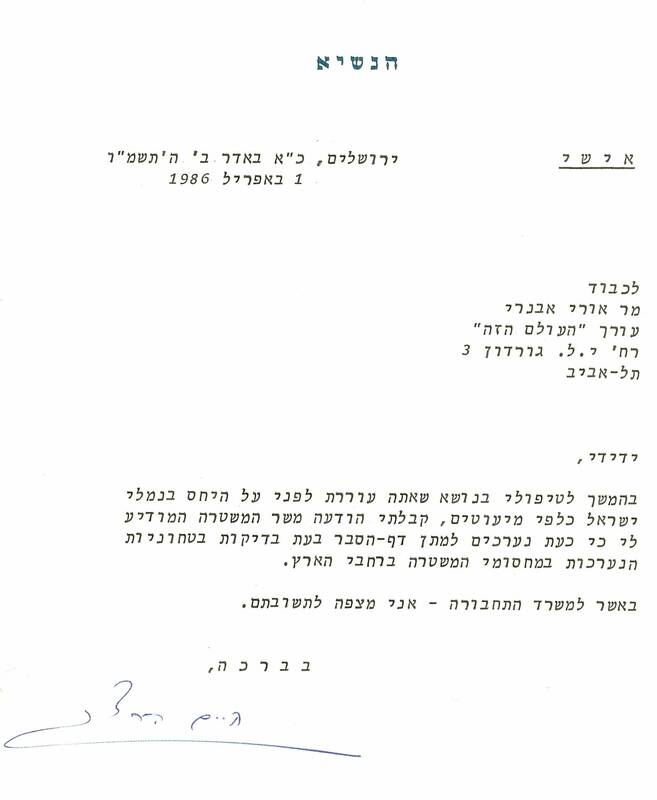 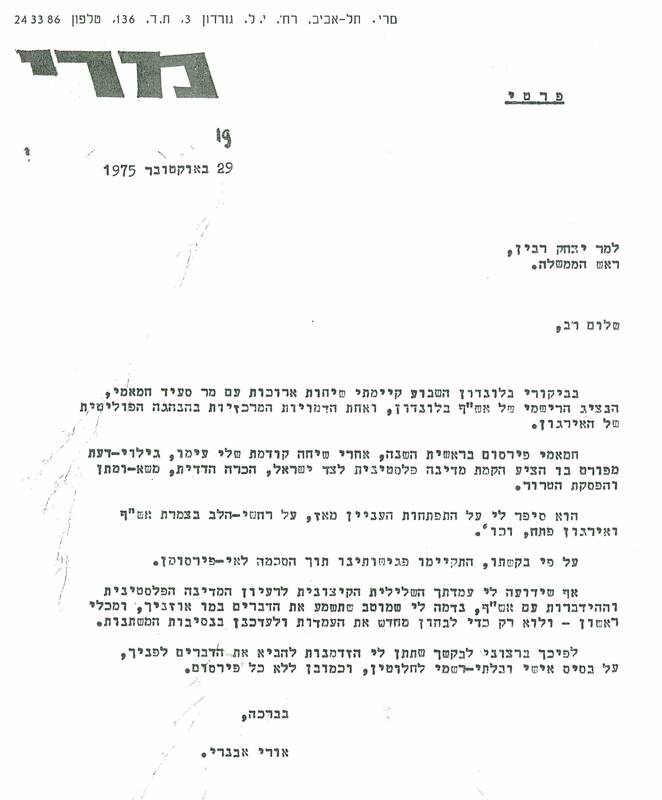 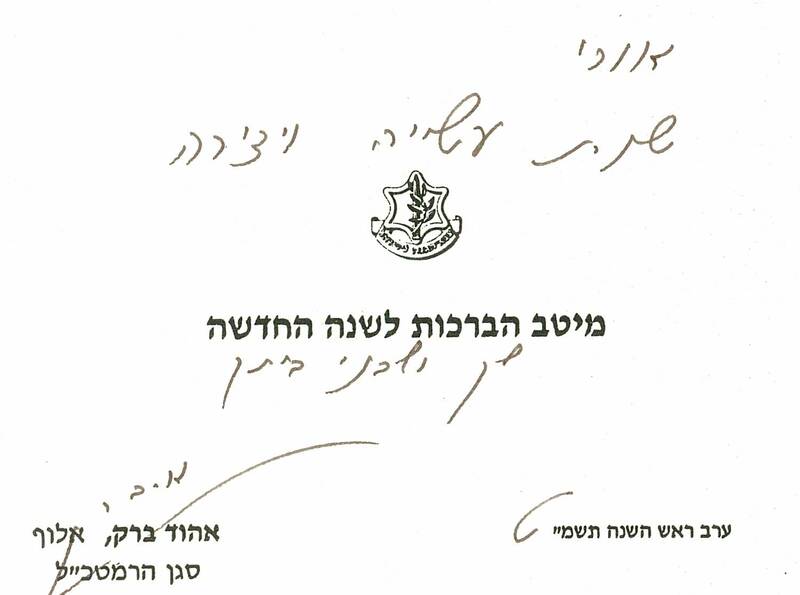 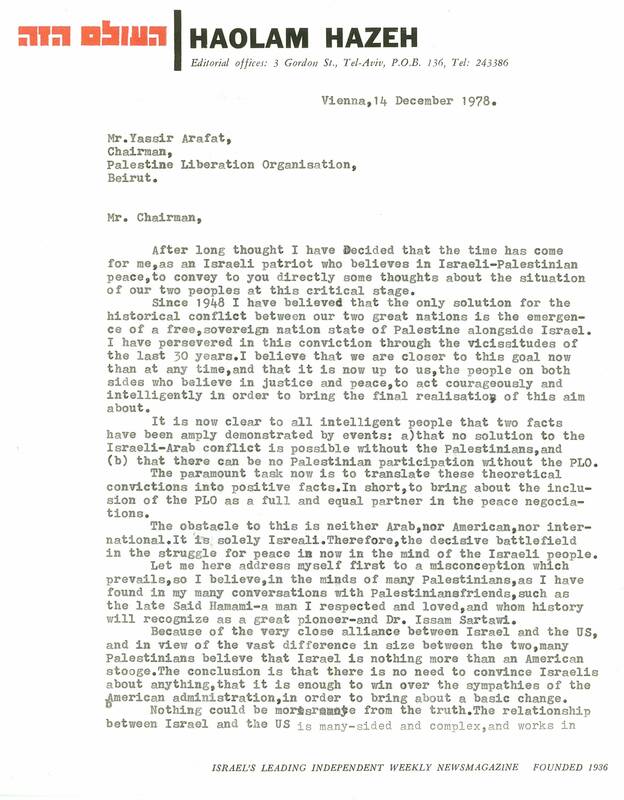 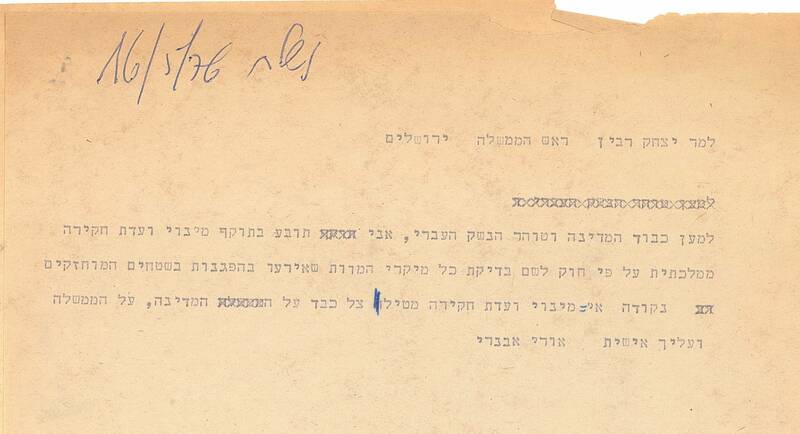 Letter by PM Begin denying that Meir Kahana was inciting to murder.